Indian consumers can now make QR code-based mobile payments using BharatQR, a “low cost, interoperable mobile acceptance solution” backed by the Indian government and developed by Mastercard, Visa and National Payments Corporation of India (NPCI). The service is supported by American Express and 14 national banks. Many other “leading banks” are at various stages of implementing support for BharatQR, which is designed to support NPCI’s Unified Payments Interface (UPI) platform and the country’s biometric ID database Aadhaar as “QR-based payments scale in the country,” NPCI says. “BharatQR has three key benefits. First, consumers will not need to scan different QR codes at the same merchant provided by the different payment networks,” NPCI says. “Second, merchants will only need to display one QR code at the storefront or through the acquiring bank’s mobile application. “The implementation of the BharatQR standard will be seamless and only happen at the back end, meaning merchants do not need to change their existing QR codes,” NPCI adds. “NPCI, Mastercard and Visa developed BharatQR with provisions for three additional fields: bank account and IFS (Indian Financial System) code, Unified Payments Interface (UPI) and Aadhaar. 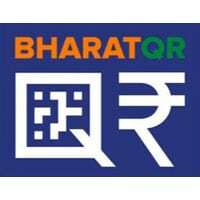 The banks ready to deploy BharatQR are: Axis Bank, Bank of Baroda, Bank of India, Citi Union Bank, Development Credit Bank, Karur Vysya Bank, HDFC Bank, ICICI Bank, IDBI Bank, RBL Bank, State Bank of India, Union Bank of India, Vijaya Bank and Yes Bank. “This is a momentous occasion for the payments industry in India with the launch of this global first of its kind, low-cost, interoperable mobile-based acceptance solution,” says Shri R Gandhi, deputy governor of the Reserve Bank of India (RBI), who announced the launch of BharatQR in Mumbai. The launch follows a series of moves towards demonetisation by the Indian government over the last few months, including the withdrawal of high value Rs 500 (US$7) and Rs 1,000 ($14) notes, an increase in mobile wallet limits, and the development of mobile payment apps that will work in conjunction with the country’s Aadhaar identification database. A mobile payment service called BHIM was also unveiled by prime minister Narendra Modi in December 2016. The service has been developed by NPCI and is based on the UPI platform that was launched in August last year. A series of incentives designed to encourage consumers and business to adopt digital and mobile payments in India were unveiled as part of the government’s Budget 2017-18 plans, which were announced earlier this month. Indian mobile wallet provider Paytm has also announced this week that it is to invest Rs 6bn (US$89.6m) to enable in-store merchants across India to accept its QR code-based mobile payments platform, Economic Times reports. Mahindra Comviva’s head of mobile financial solutions Srinivas Nidugondi has recently contributed to NFC World’s What’s New in Payments report, providing insight into the current state of payments within India and how the government is pushing to digitise a country where banknotes and coins are more than just a medium of transaction. You can download the full report here.